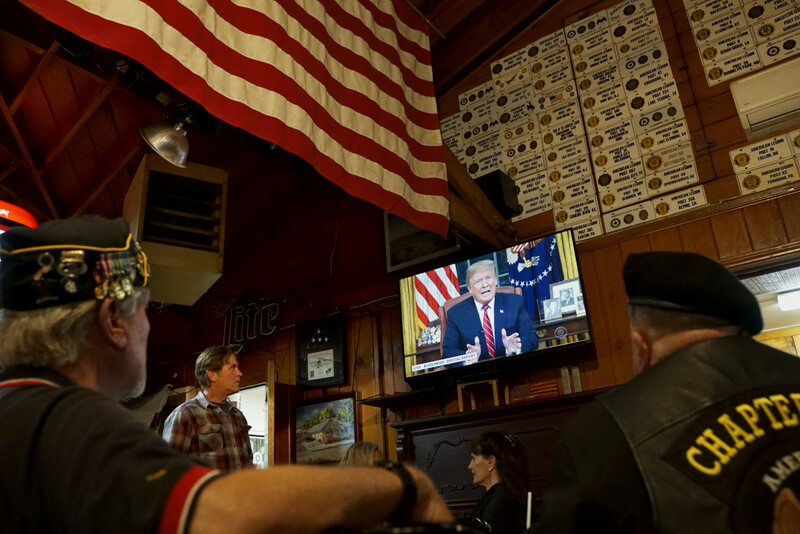 Members of American Legion Post 416 watch President Donald Trump speak on January 8th, 2019, in Encinitas, California. 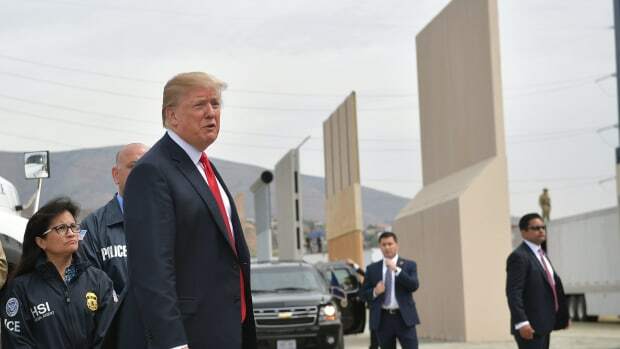 On Tuesday night, President Donald Trump did a weird thing: He got on national television, from the Oval Office, to argue for his vision of border security between the United States and Mexico. 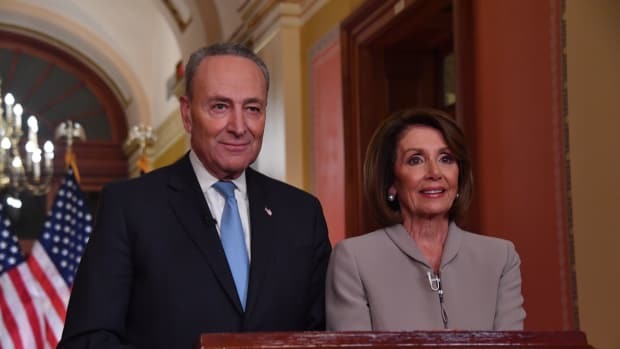 The speech came on the 18th day of the partial government shutdown. 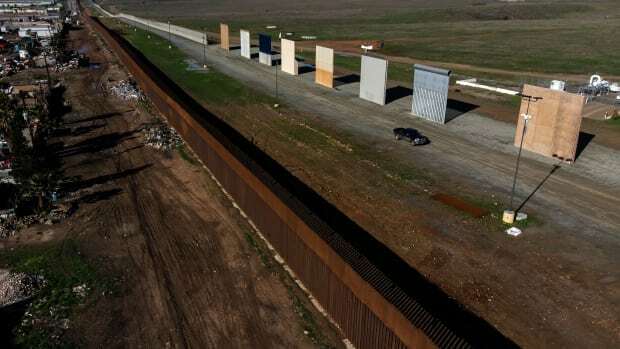 Trump has said he won&apos;t sign a bill to open now-shuttered agencies unless he gets the funding he wants for a wall along the U.S.&apos;s southern border. Over the past two decades, primetime Oval Office addresses have become rarer, as their audiences have shrunk. "Presidents realize that the payoff that they get from one of these is not necessarily what Ronald Reagan got," says Josh Scacco, a researcher who studies politics and the media at the University of South Florida. Instead, presidents lean on a larger variety of media. 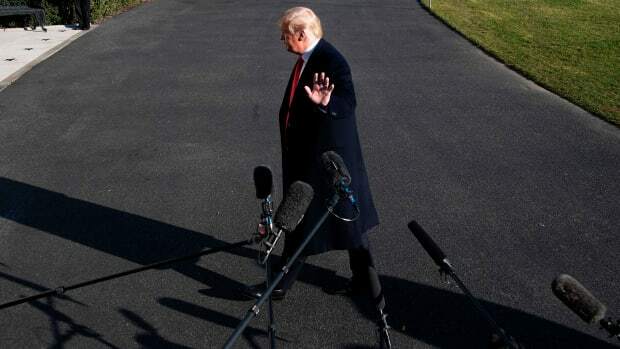 This was Trump&apos;s first primetime Oval Office address—two years into his presidency—and he had privately doubted it would make much of a difference, the New York Times reported. Indeed, research suggests that major presidential speeches don&apos;t tend to change Americans&apos; minds. Studies have linked the problem to the rise of cable, which gave Americans many more choices of what to watch. People gravitated toward broadcasts that confirmed their beliefs, so a president&apos;s supporters would make up a disproportionate share of those who watched his speeches. Those opposed to (or uninterested in) him tune out, which doesn&apos;t give him a chance to influence their stances. The Internet only deepens these tendencies. Plus, Scacco argues that Trump has a talent for setting the agenda. Scacco has studied how the press and public echo Trump&apos;s word choices when talking about tax reform and North Korea. 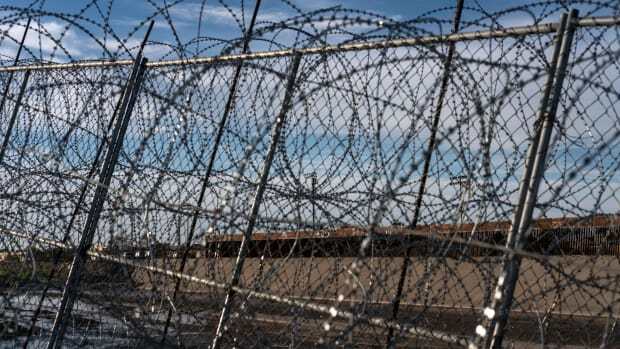 Scacco hasn&apos;t looked at the U.S.–Mexico border in particular, but gave an example of what we might see now: Trump and his political opponents, Representative Nancy Pelosi (D-California) and Senator Chuck Schumer (D-New York), all used the phrase "border security," which Scacco noted could be helpful to Trump. 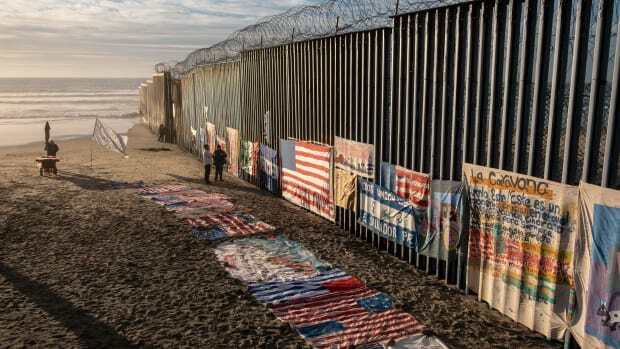 "A wall includes &apos;border security,&apos;" he says. "That is where potential future gains can be made for Trump on policy matters, by beginning to shift the information environment or the conversation in his direction." Based on the research, Scacco expects that most of the folks who watched Trump&apos;s speech live were already supporters. He doesn&apos;t expect the address to have moved the needle on Trump&apos;s approval ratings, or what Americans rate as the most important issues in their lives. But despite the seemingly outdated nature of the primetime address, it may still have had important, subtle effects.